The first Bellerose store was opened in 1990. Magnetically drawn there by a love for the sea and sailing, this store opened its doors right by the Belgian seaside, in Knokketo be precise. Originally it was somewhat of a multi-brand store with an exclusively wooden interior, inspired by the typical surfer shacks one can find on the American West Coast. Rather quickly more stores followed in Brussels, Ghent & Antwerp. The major one being a flagship store of over 600 m2 in the heart of Brussels (Place Stéphanie). The adventure had started but the Belgian market remains a rather small one, an expansion had to follow outside of our borders. So why not in Paris, right? 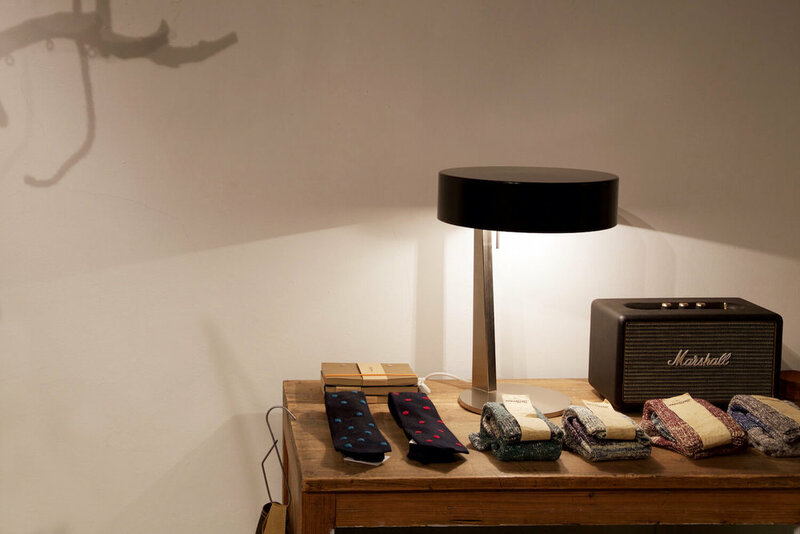 We started off with a store in one of our favorite areas, the Marais, a warm and welcoming spot with a rock’n’roll touch and a familiar atmosphere. 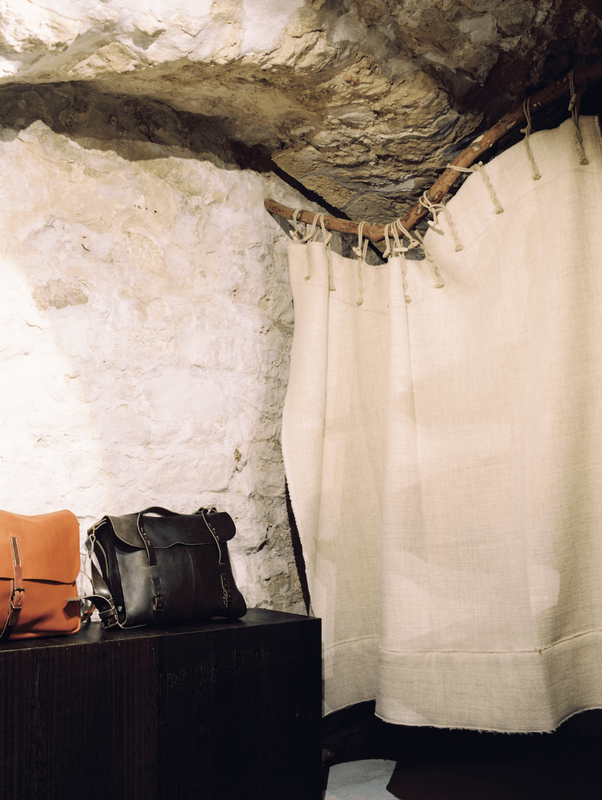 Later on stores in Saint Germain Des Près and the Bas- tille area would follow. Around the same time our first Amsterdam store saw the light of day, in a slightly rougher and barer setting, as well as a women’s only store with a touch of chic in a completely different part of the city. Our goals for the coming years include opening stores in key European cities such as Berlin and London. The decors of our stores are directly linked to the perso- nalities that make Bellerose the brand it is today. From a very feminine and delicate interior with vintage acces- sories and a romantic flair, to a robust wooden boudoir with a very masculine look and feel, or a more playful and relaxed kids department with vintage toys and cardboard teepees: we have something for folks of all kinds and walks of life. Loosely inspired on the concept of traditional American drugstores, our first stores were created as vibrant, func- tional places where one could find nearly everything, starting with our Bellerose collections while yet also of- fering off-road buggies, fire pits, letterboxes and a wide range of accessories (both fashion and gadgets). With the introduction and growth of our women’s and kids’ range, little by little these stores evolved into concepts with more room for architecture, decoration and fashion, always referencing the themes of our collections, with a strong accent on our window displays & visual merchandising. Roughly said everything is presented as if it were a cor- ner, be it our Bellerose collections, our selection of other brands and different objects & accessories. For every new store we start from scratch. We adapt tothe location and conserve crucial elements of the buil- ding’s former life, be it a wooden floor, the original walls or a glass roof - only to engraft our signature Bellerose interpretation afterwards. What our stores have in com- mon is the use of concrete, wood & metal. Everything is interchangeable, sometimes our shelves are wooden, and sometimes they’re metal. Our rails can be installed on the floor or they can hang from the ceiling. There’s vintage furniture from all over Europe that we use for our checkout counters, our tables and our display cabinets. We lovethe idea of stores that are truly unique and that play with opposites the way our collections do. We believe that this enables our customers to discover new facets of our brand every time they visit. The selections we make for our stores are also diffe-rent every time, adapting to our stores, their locations and concepts. Some are more feminine, some have a wider range of Non-Bellerose products while others have more accessories. A Bellerose boutique thus becomes a living and breathing entity with its own community and its own mode of functio- ning. It’s almost as if our stores are team members rather than just points of sale.